Single flowered varieties with laciniate (split/cut), curled and twisted petals. Mainly late flowering. Stem of variable length depending on the variety. 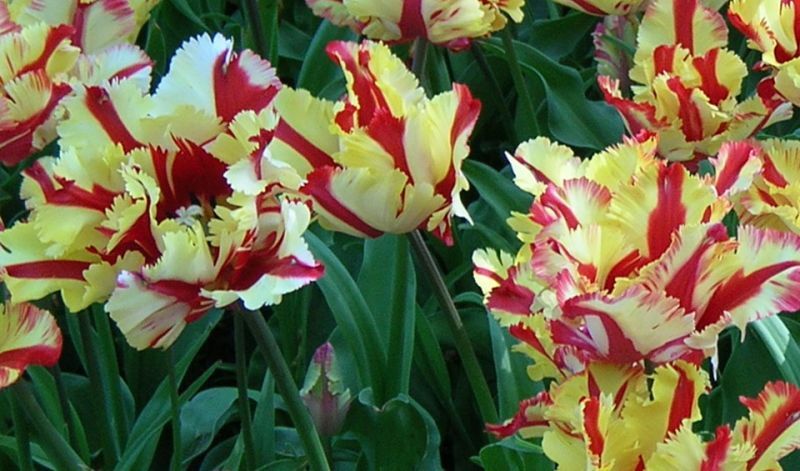 'Apricot Parrot' (bright apricot), 'Black Parrot' (violet-black), 'Blue Parrot' (mauve-blue), 'Estella Rijnveld' (red and creamy white), 'Fantasy' (pink), 'Flaming Parrot' (yellow and red) and Rococo (fire red, some yellow).